Cleveland Browns rookie quarterback Baker Mayfield "didn't feel like talking" to former coach Hue Jackson after leading a 35-20 win over the Cincinnati Bengals at Paul Brown Stadium in Cincinnati Sunday. Rookie quarterback Baker Mayfield ripped "fake" former Cleveland Browns coach Hue Jackson in a comment to an ESPN First Take Instagram post. 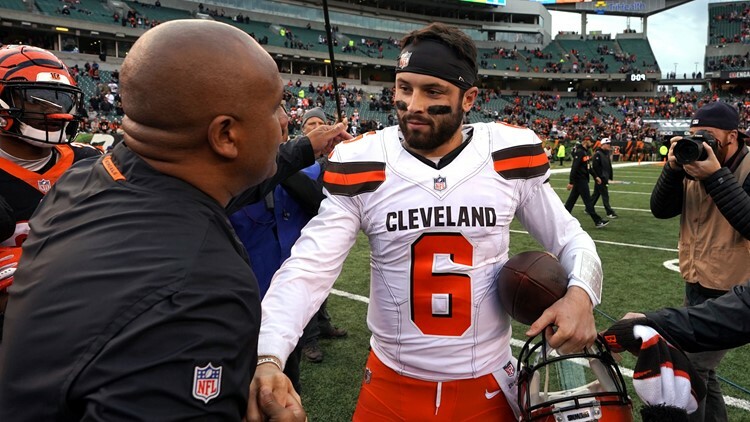 CLEVELAND -- Rookie quarterback Baker Mayfield is not one to hold back on expressing his feelings, and that certainly applies to thoughts about former Cleveland Browns coach Hue Jackson, now a special assistant to Cincinnati Bengals coach Marvin Lewis. 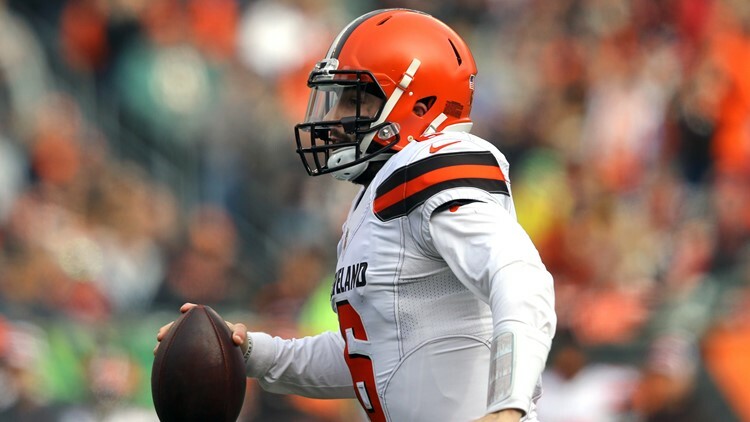 Following the Browns’ 35-20 win over the Bengals Sunday, Mayfield and Jackson shared a brief exchange, and the quarterback said it was his decision because he “didn’t feel like talking” to his former coach, and the debate continued Monday. ESPN First Take posted a video to their Instagram page where former NFL player Damien Woody ripped Mayfield for his postgame actions. When asked during his postgame press conference for why he did not want to talk with his former coach following the Browns’ first road win since October 11, 2015, Mayfield sounded hurt by course of events after Jackson’s dismissal from the organization. 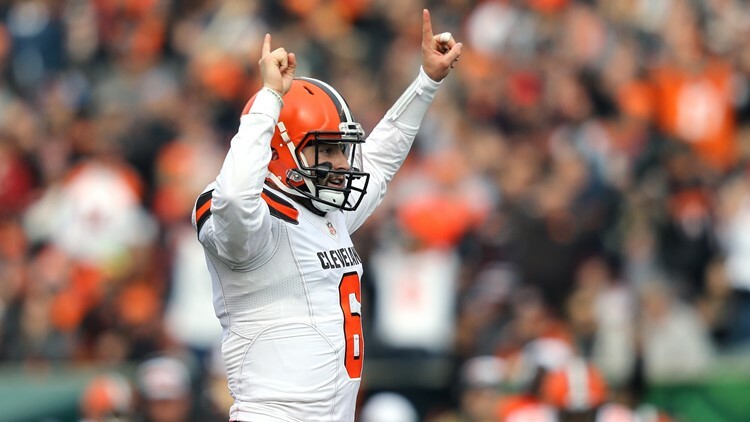 Although the Browns said all week long before the game that Jackson would have a minimal influence on the final outcome, Mayfield admitted that it added “a little bit” more of a chip on his shoulder heading into the AFC North Division game against the Bengals. Mayfield completed 19 of his 26 throws for 258 yards and a franchise single-game rookie-record four touchdowns against Cincinnati. Mayfield averaged 9.9 yards per attempt and connected with eight different receivers in the win over the Bengals. Since the Browns attempted to clean up the “internal discord” within the organization by dismissing both Jackson and offensive coordinator Todd Haley, Mayfield has connected on 65 of his 88 attempts (73.8 percent) for 771 yards and nine touchdowns against just one interception. “What it comes down to is that we have the same players,” Mayfield said. “That’s what I said when everything was happening -- we just had to play better. You can put your own spin on it, but we have people we believe in calling the plays now.